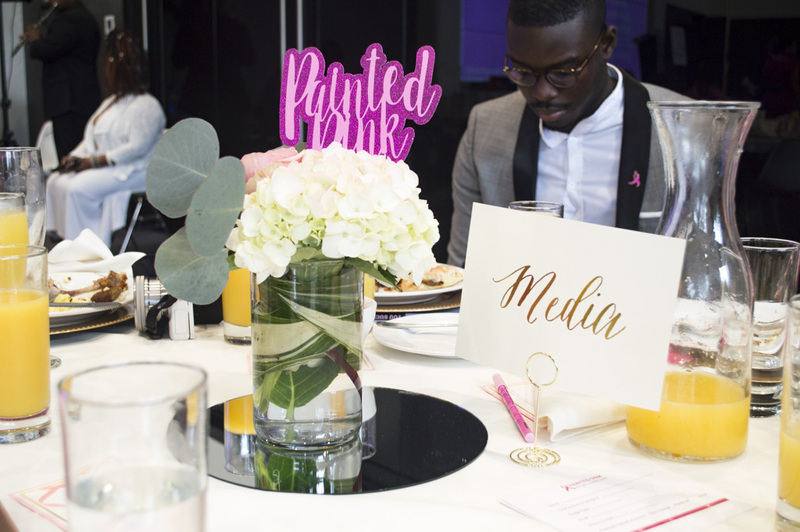 Last weekend Painted Pink, Inc hosted their 4th annual breast cancer bruncheon and let me just tell you all that it was absolutely wonderful. 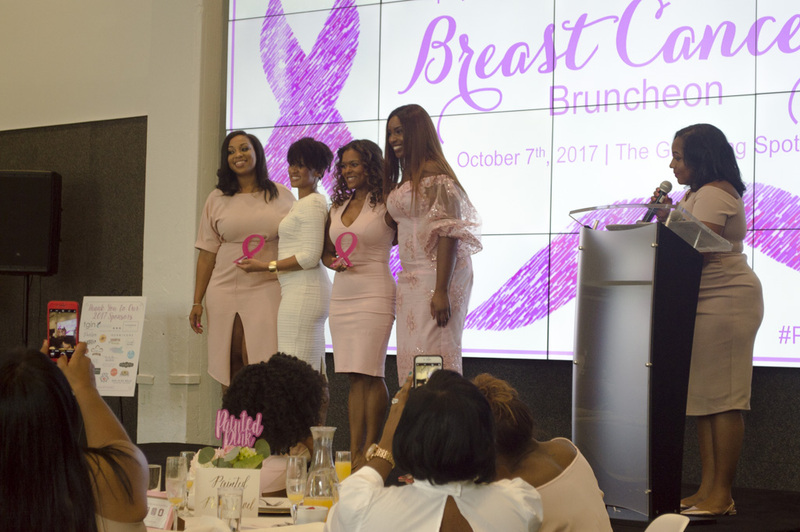 Not only was the bruncheon impactful, but there was so much love in the room that you could literally feel it. I had the honor of covering the event as media and I can honestly say I walked out of that event edified. 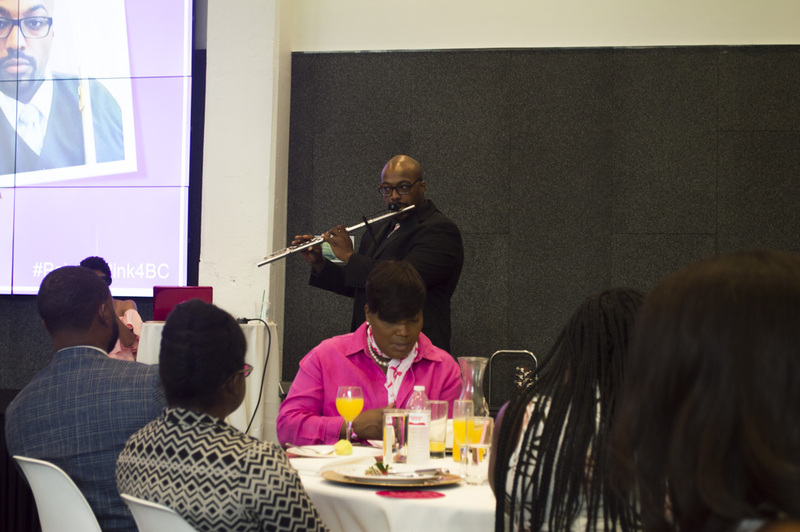 The guests were able to hear the testimonies of survivors (and a co-survivor), learn facts/myths regard breast cancer, hear beautiful music played by a band, receive complimentary products by sponsors, and the list goes on and on! 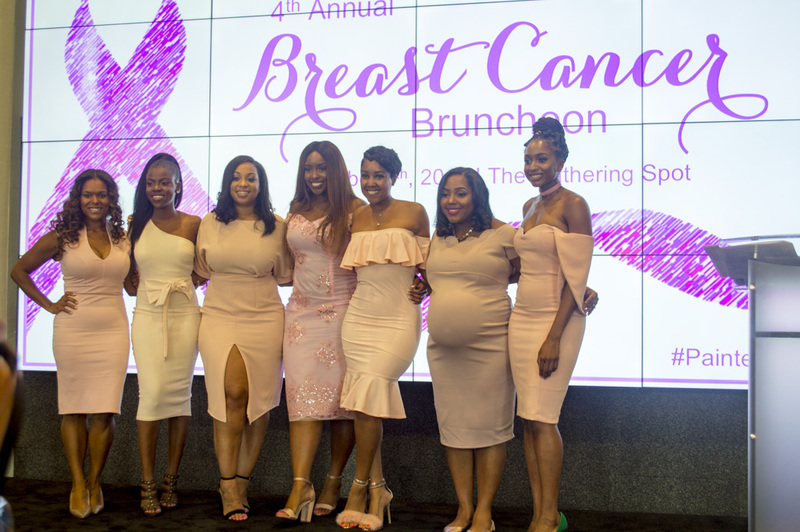 The brunch began with a beautiful poem by Allasia Cotton and soon after the event was welcomed by the Painted Pink staff. 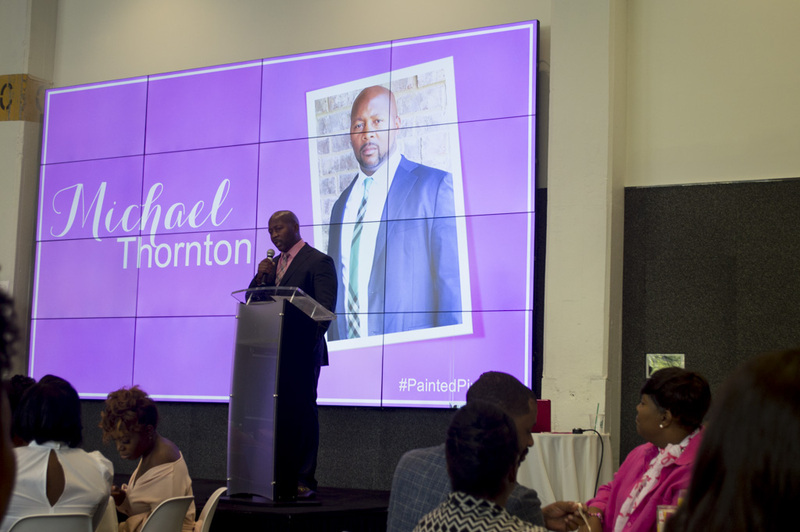 We were introduced to the first speaker, husband and co-survivor Michael Thornton where he shared his testimony of dealing with breast cancer first hand as his wife was diagnosed at the age of 38. 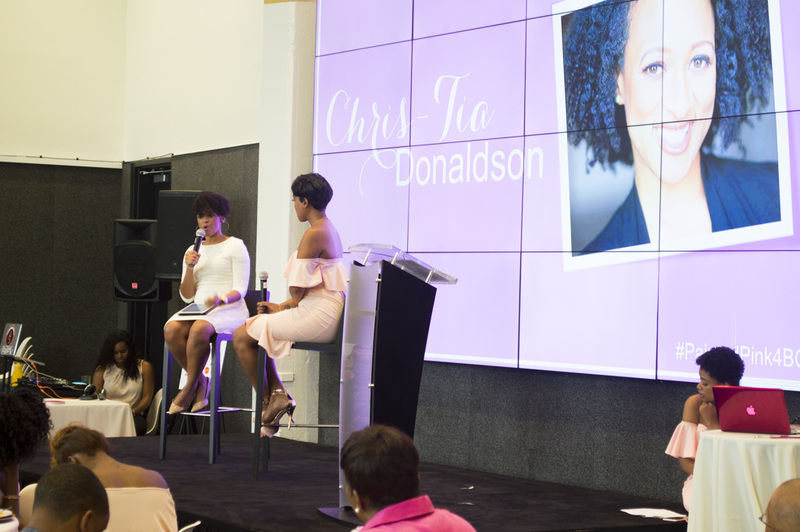 It was definitely very insightful hearing his side of the experience, especially since shortly after his wife Lakeisha took the stage. 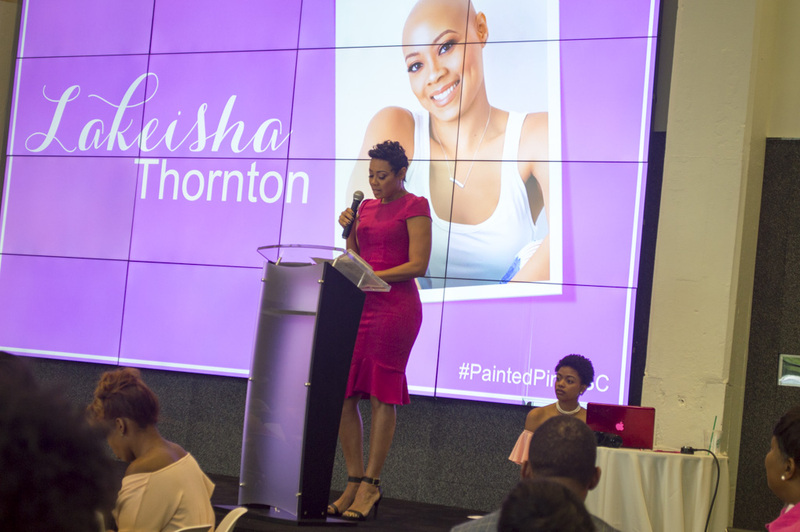 Lakeisha discussed how although she was faced with the possibility of death, she declared that she was healed and stood firm on the word of God throughout the process. They also shared how during one point of her recovery, their children laid hands on her and prayed over her (Praise God!). 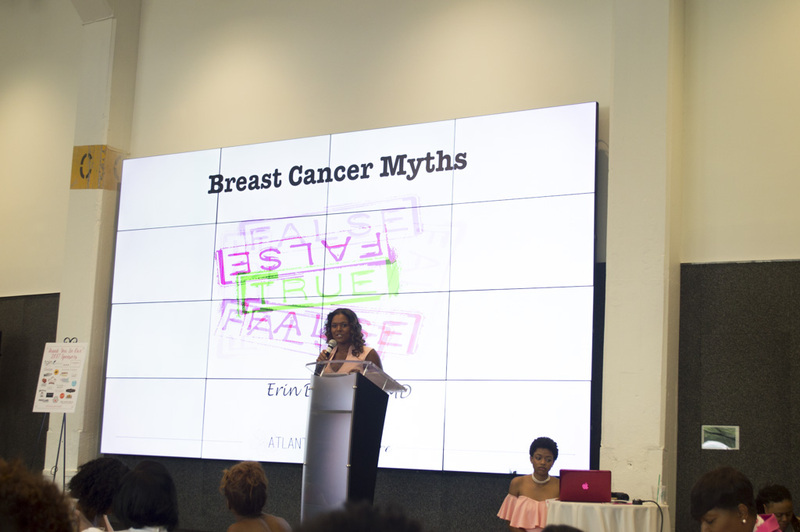 The next portion of the event was very informative as breast cancer myths were debunked and we were able to learn facts from Dr. Erin Bowman. 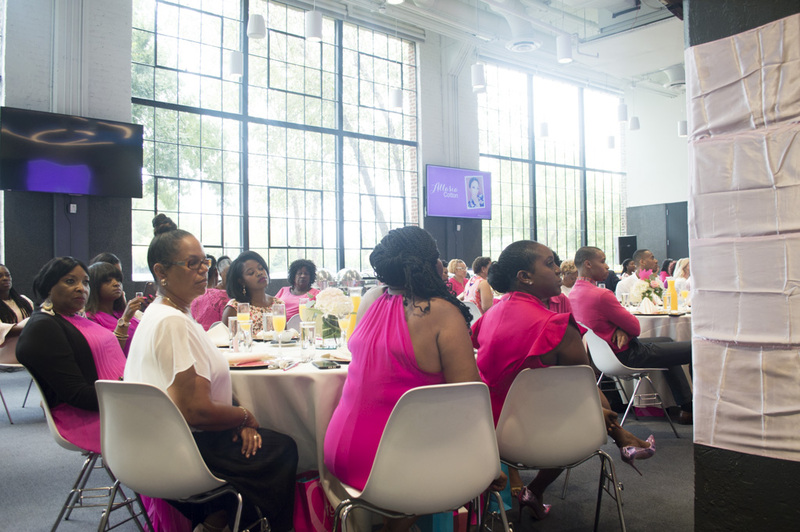 Two facts that stood out to me were that only 5-10% of breast cancers are hereditary and 90-95% are not related to genes. I honestly thought that genes played a larger role so it was very interesting to learn that. 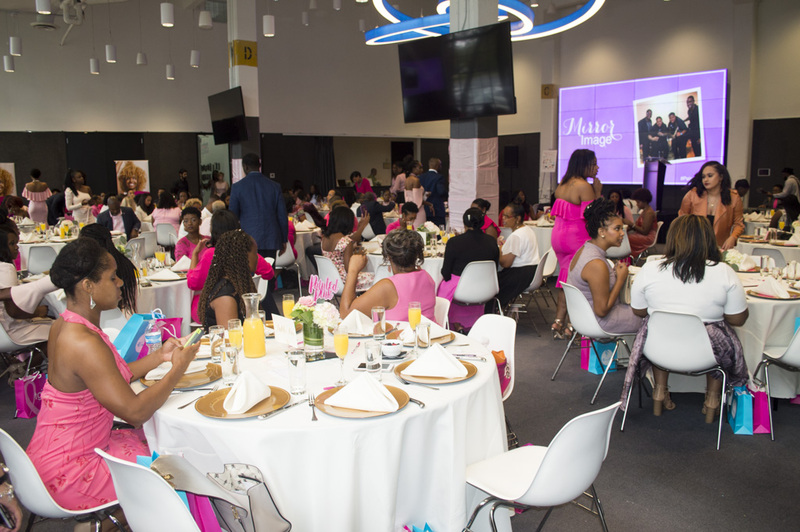 The final portion of the event was led by the host Koereyelle and the keynote speaker Chris-Tia Donaldson, CEO of natural hair brand Thank God It’s Natural (TGIT) and also a breast cancer survivor. 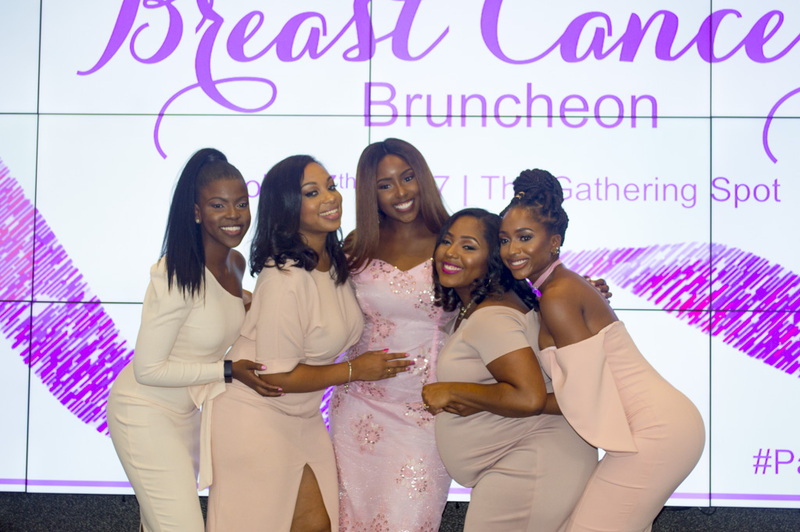 I truly enjoyed hearing her story and learning more about her journey being diagnosed while managing her company. 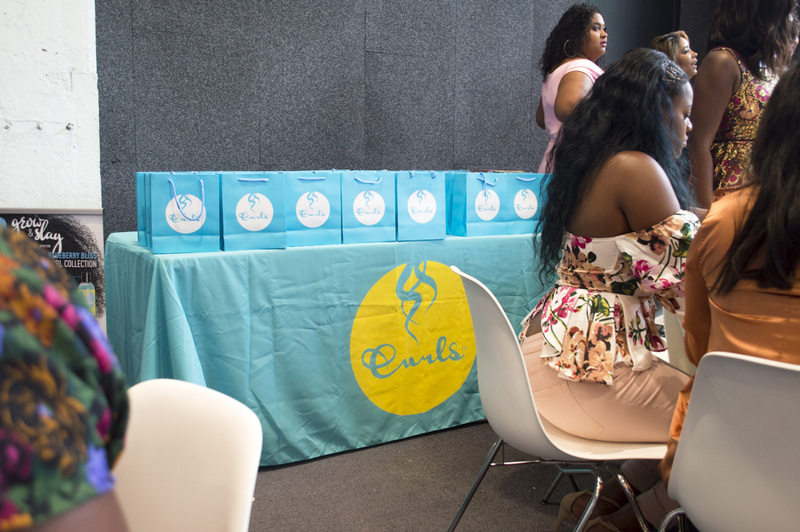 She provided key tips and spread her Black Girl Magic throughout the room. 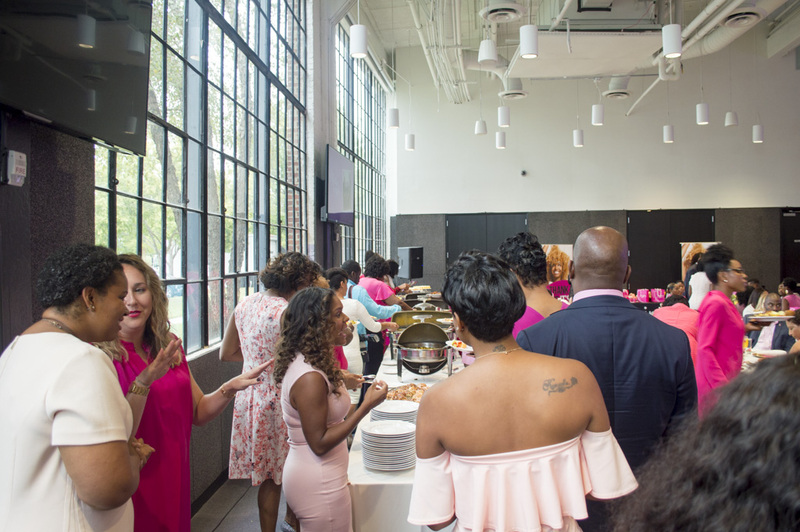 All in all, Atlanta was definitely painted pink last weekend! 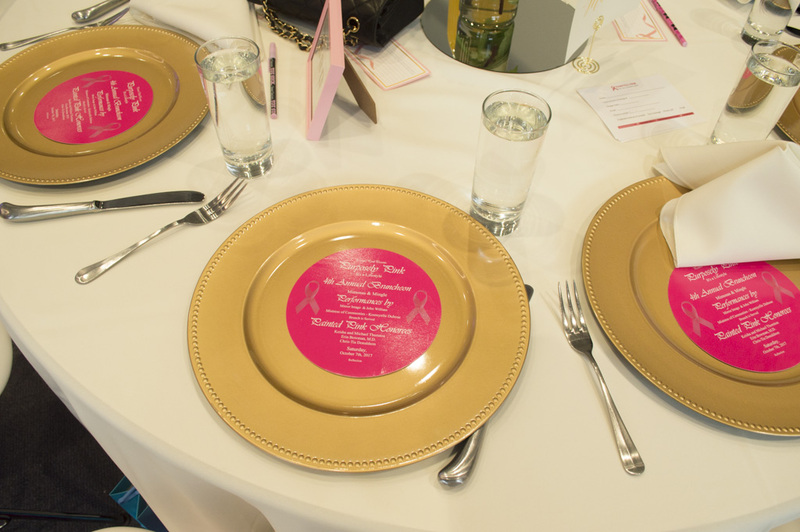 The survivors were beautifully honored and I’m sure walked away even more empowered. 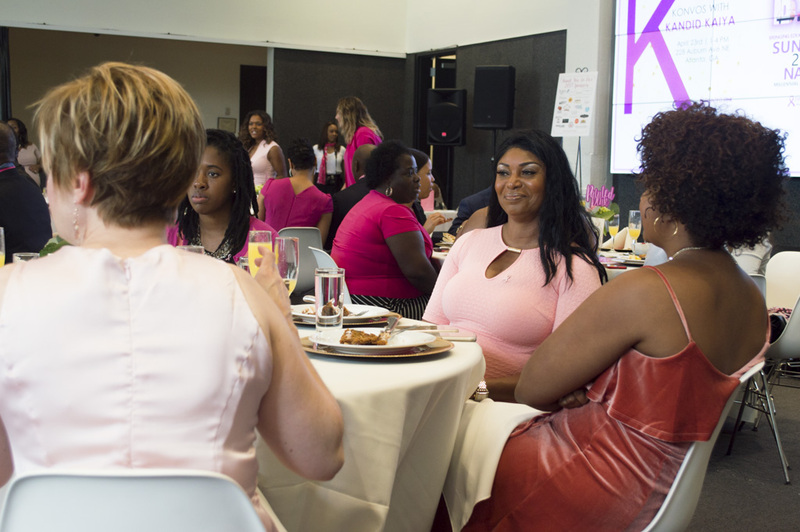 I left remembering the importance of taking care of myself and being my biggest advocate. Thank you so much Painted Pink for just being an awesome organization and spreading positivity! 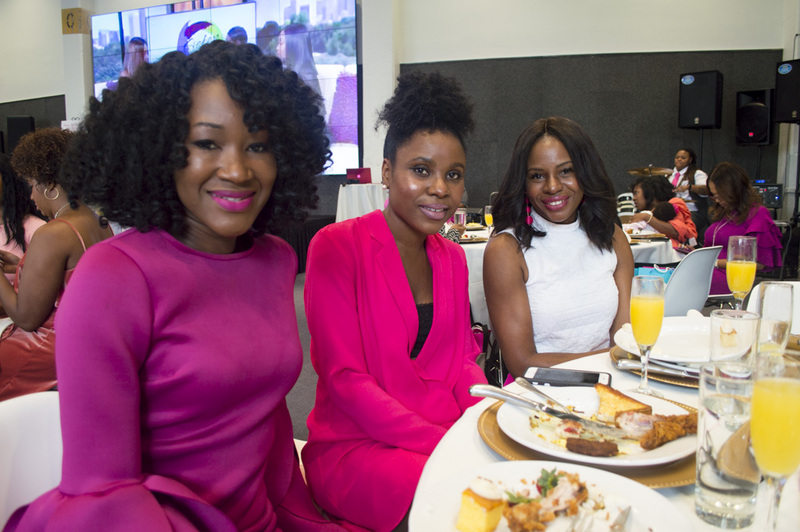 I’m definitely looking forward to the next bruncheon!